The road is only .75 miles long but has a 25% grade decent. It is paved and bumpy but fun to descend if you have a vehicle with 4 wheel low. 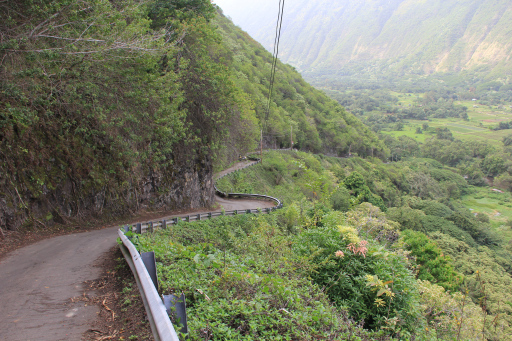 Not only is a fun road to go up and down it leads to a great valley for swimming and views. After the decent it turns to a dirt/mud road to the beach with large holes and ruts. Well worth the trip if you are a fan of interesting roads.